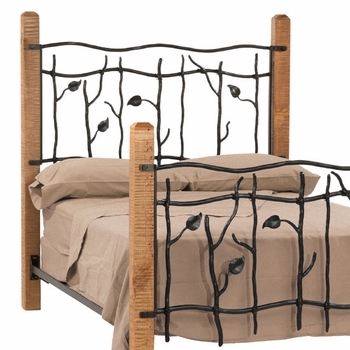 A headboard only version of our complete bed set. A fine addition to a guestroom or mountainside cabin. Queen and king sizes in the finish of your choice. Weight: (Queen) 118.8 lbs. (King) 136.4 lbs. Finish: Select the view option tab for more information.